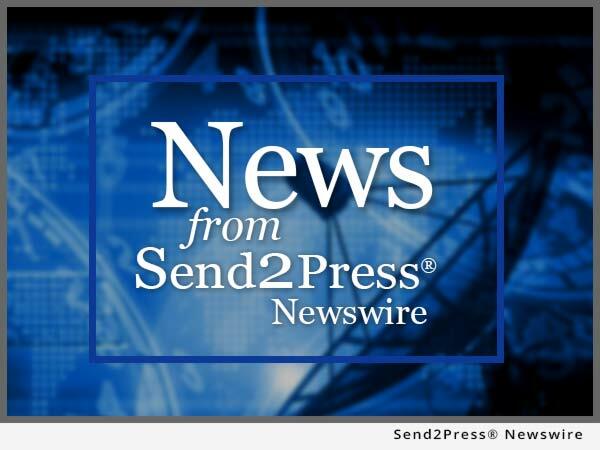 PEMBROKE PINES, Fla., Nov. 30, 2015 (SEND2PRESS NEWSWIRE) -- Sunshine Capital, Inc. (PinkSheets:SCNP) today announced a joint venture with the publishing division of Widjits, Inc., an independent company, of a three book deal with micro-cap stock magnate Daniel J. Duffy, who is in prison and currently appealing convictions for murder and conspiracy to commit murder, crimes, which Mr. Duffy denies any participation in. Mr. Duffy agreed to co-write the books, which will cover everything from his rise to stock market stardom leading to his lavish lifestyle, to his 2009 Federal conviction for conspiracy to commit mortgage fraud and aggravated identity theft along with his wife, Nicole Torres, to his two murder trials and subsequent conviction. The books will allow Mr. Duffy to tell his incredible story in his own words. It also reveals many of his business secrets - all legal. "Our Company believes that these three books will become bestsellers," stated Lindel Regis, President and CEO of Sunshine Capital, Inc. "Daniel Duffy's story, the story from his side, is one you would have to read to believe, and that is why we plan to publish it. We understand this is a controversial story, but we believe people have the right to read and decide for themselves what to think. It's an amazing story," stated Mr. Regis. Mr. Regis has had a close relationship with Mr. Duffy over the years, having been trained by Mr. Duffy in the arts of stock trading, corporate structuring, mergers and acquisitions, and running public companies. From 2003 to 2008, Mr. Duffy took a zero asset public company to over $140 million in pending and executed acquisitions, exiting before the market crash in 2008. According to the Florida Department of Correction's Administrative Code, Title 33, Mr. Duffy is not allowed to be compensated while incarcerated and has instructed to have all payments in stock and revenue royalties to be passed along to trust accounts for his two children, charities of his choice and to attempt to settle his wife's and his Federal fines of approximately $8 million. Duffy plans to respond to many of the allegations about his wife, Nicole Torres, and him which aired in the ID Channel Network production's pseudo-documentary show, "I'd Kill For You," which ran a segment (Season 2, Episode 7, aired on October 7, 2013) about the couple, titled "Treasure Coast Killer." He was shocked when presented with a transcript of the show of just how many inaccuracies the transcript contained that damaged his wife and him. He has written to the ID Channel Network three times with no response. Mr. Duffy is calling for polygraphs of the show's witnesses, refuting their testimony and especially wanting to clear his wife's name of any wrongdoing. "For the past six years people have told lie after lie about my family and myself because they knew I was not there to defend myself nor my family, but that is all about to change," stated Daniel Duffy, co-writer of the three books about his story. "Because of these damaging lies, it has ruined the family I once knew. It's not about the money here because I am not going to make a dime on this; I just want the truth to be told. Finally, these books will do just that and call out and expose all the lies, including the State's, which convicted not because of any direct evidence against me but by painting me as a bad character throughout the trial with only my Federal conviction against me. These books will tell it all from day one, nothing held back, and show the real side of myself and my wife, who because of my mistakes and not hers, had to plead guilty of fraud to the Feds." Mr. James Bartel, former President and CEO of Sunshine Capital, Inc. and current member of the Board of Directors has agreed to join the advisory board of this three book project. Mr. Bartel has an extensive resume in the publishing industry. Mr. Bartel has published Stock Market Advisory Letters for 30 years, including the low price stocks newsletter, The Bonanza Report, New Issue Digest and USA Financial News. In the early 1980's Mr. Bartel was the Editor of Entrepreneur Magazine and helped take it public. He also published lottery orientated products such as WIN Newsletter (over 80,000 readers), Al Capone's Death Bed Confessions (sold over 100,000 copies) and Weapons and Tactics Newsletter (How To Survive A Gunfight with over 8,000 subscribers, mostly Federal, State and Local Law Enforcement Officers). Trading penny stocks from 1995-2003 brought a tidy fortune to Daniel Duffy. How Mr. Duffy picks the right penny stocks, his due diligence strategies that allowed him to ride stocks from $.25 to $18.50 and his knowledge of thin float stock. In 2003 he became President and CEO of his first public company, Preferred Internet Technologies, Inc., which vaulted in value an unheard of 495,000% in a single day. From there he took a number of companies public and negotiated over $140 million in pending and executed acquisitions until 2008. Mr. Duffy will also describe topics such as what really makes penny stocks move, the kind of lifestyle he adopted, who "paid bashers" are, such as the website RipOffReport-dotcom, how to purchase the right public shell to go public in 30 days, how to structure that public shell so the stock is forced to go up and benefit the shareholders, thin float public shells and much more. The whole story of Daniel Duffy's multi-million dollar lifestyle and where the ID Channel Network got it wrong about the story will be explained. His wife Nicole's innocence of wrongdoing will be established. Mr. Duffy, a "genius" with credit as even the Federal Government admits, his offense involved sophisticated means and that Mr. Duffy was the organizer and leader of his offense which was extensive, will give you the inside scoop on credit and how to build your credit legally in 30 days to qualify for million dollar mortgages. It will show how he went from having no credit at all to a credit score of 802 and a 15-year-old credit history in 28 days which is a legal tactic that the credit reporting agencies don't want you to know. Mr. Duffy will explain in detail how he created a clean, brand new credit file with all three major credit reporting agencies: Experian (LON:EXPN), Equifax (NYSE:EFX) and TransUnion (NYSE:TRU) that passed security systems of all banks, including mortgage companies. The untold story with nothing held back. How being associated with someone gets you indicted, plus a breakdown of how the Florida State Attorney's office convicted him with no direct evidence but painting Daniel Duffy as a bad character because of his mortgage fraud case, using stolen money as a motive for murder, inconsistent co-defendant testimony, and how the shooter, the state's star witness against Mr. Duffy, made a deal with the state to avoid the death penalty or possible life in prison -- testimony against Mr. Duffy was deemed impossible according to state's own presented evidence. The private Securities Litigation Reform Act of 1995 provides a safe harbor for forward-looking information made on the company's behalf. All statements, other than statements of historical facts which address the company's expectations of sources of capital or which express the company's expectations for the future with respect to financial performance or operating strategies, can be identified as forward-looking statements. Such statements made by the company are based on knowledge of the environment in which it operates, but because of the factors previously listed, as well as other factors beyond the company, actual results may differ materially from the expectations expressed in the forward-looking statements. View original version of text: https://www.send2press.com/newswire/sunshine-capital-inc-announces-joint-venture-with-widjits-inc-to-publish-three-book-deal-with-micro-cap-magnate-daniel-j-duffy-2015-1130-01.shtml. NEWS SOURCE: Sunshine Capital Inc. :: This press release was issued on behalf of the news source (who is solely responsible for its accuracy) by and Copr. © 2015 Send2Press® Newswire, a service of Neotrope®. Books and Publishing, Finance, financial services, Florida, Pembroke Pines, PEMBROKE PINES, Fla., PinkSheets:SCNP, Public Companies, Widjits Inc.